How many times do we answer, “I just do not have the time.” So why not keep it simple? Bits and pieces that easily set the mood. Perhaps, even, motivate to make some time? Like a tablecloth. 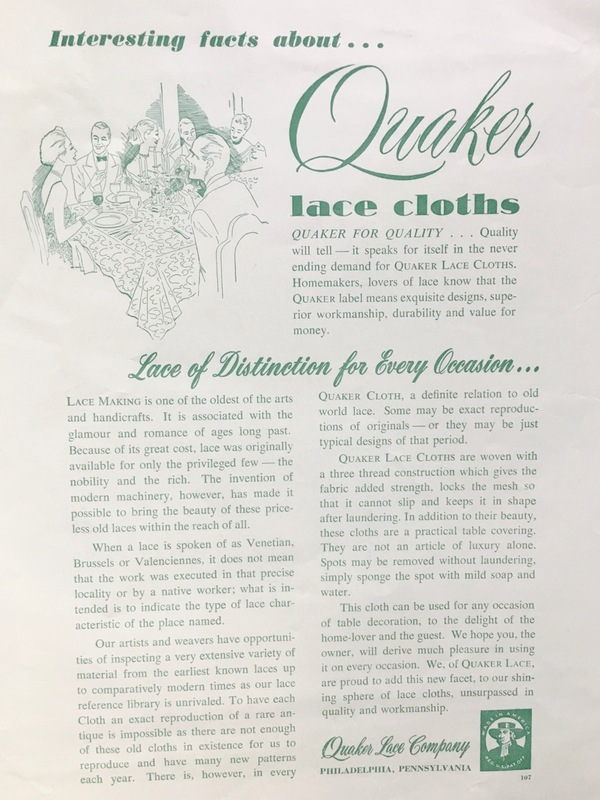 Vintage Quaker Lace, for instance, was produced for the modern family – ease of laundering, forget about ironing. Launder – and it is ready for tonight – and many evenings to come.